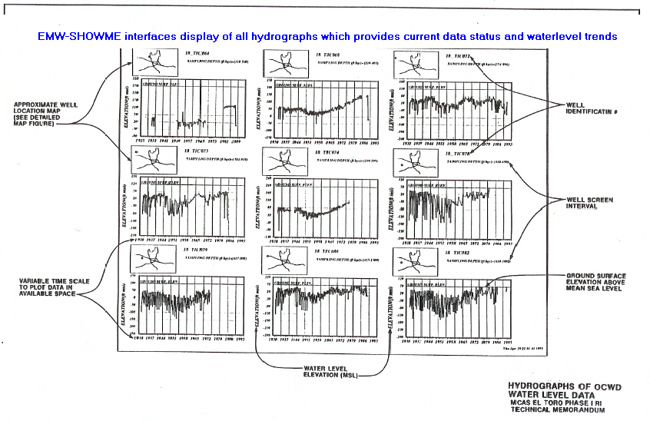 For El Toro Marine Base CFEST developed efficient procedures for concise, self explanatory multimedia data (wells, chemicals, soil borings, and surface measurements) visualization. CFEST reports were referred to as “data bibles” by the Navy Project Manager since each display included all key information. Surface runoff, surface soil, and near surface sample represent substantial amount of data. 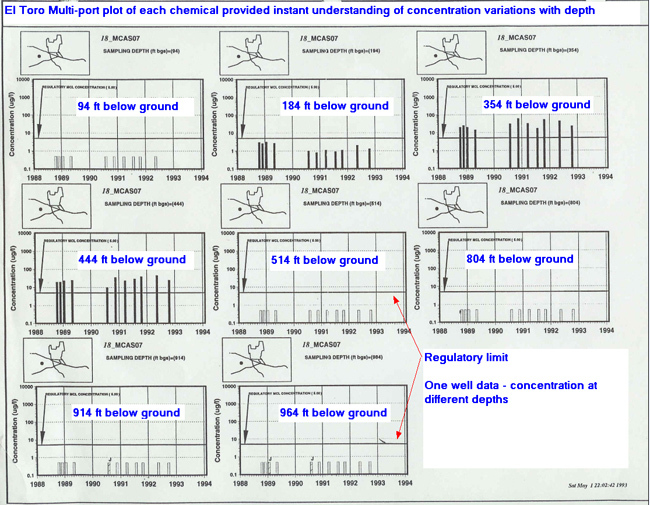 Multi-port well data are used to understand vertical variations in concentration distribution. 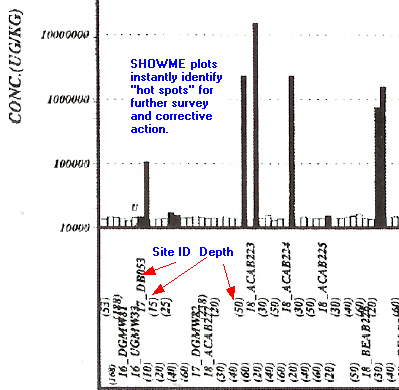 SHOWME displays of each chemical data are designed for efficient uses of available data. 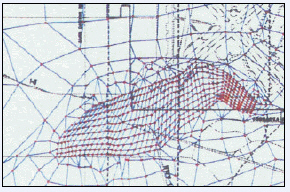 EL Toro processing of well log data included display of each well log with location map and automated transformation drillers recording to the project standards grouping of lithology data. 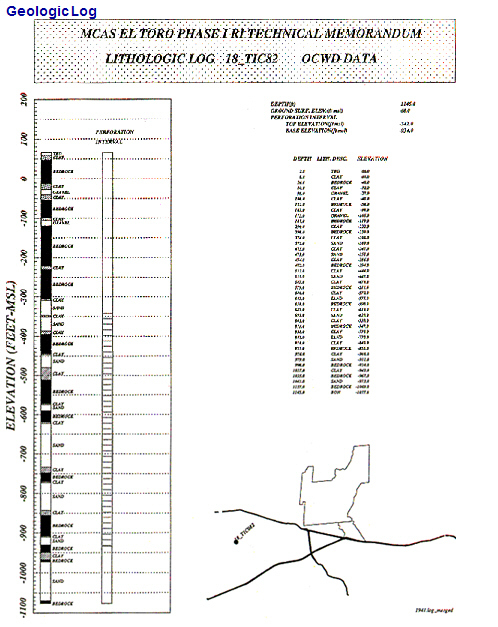 CFEST analysis explicitly showed deep extraction would cause migration of the TCE plume to the deeper principal aquifer. 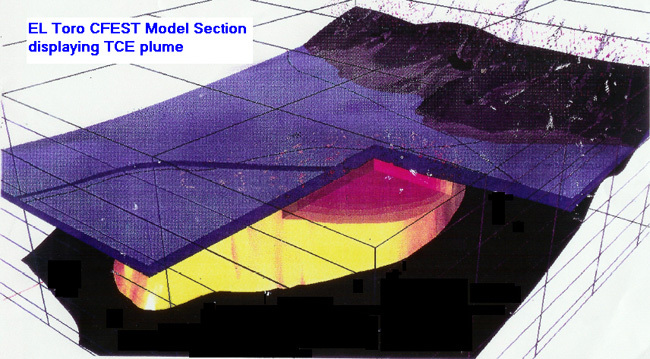 CFEST developed an elaborate design of shallow surface wells for plume containment and extraction.